Give your customers engaging new content each month with our Monthly Video Editing Subscription plan. Our Monthly Video Editing Subscription plan works in conjunction with your On Location Video Services to add valuable videos to your promotion toolbox each and every month. Videos are the most versatile and profitable digital marketing tools available, and we’re here to help you create a captivating library of videos to promote your business and build brand awareness. Keep your website and social media platforms fun and fresh when you sign up for our monthly Monthly Video Editing Subscription plan. Our subscription plan is offered in conjunction with our on-Location video production services, and adds a consistent stream of new videos to your social channels and website. The steady video stream can help increase your lead generation and lead conversion rates, create brand awareness and position your company for success online. Because our production plan is customized for your unique business, our pre-production and shoot costs vary by project to fit your needs. One Low Monthly Rate. No need to spend an obscene amount of money on video services. We offer a monthly subscription for an affordable price. Consistent Stream of Videos. Build a library of videos to promote your business and build brand awareness. Humanize Your Brand. People like to do business with people they know. Videos allow you to let your customers into your business and show them more about who you are and what you offer. Showcase Your Team. Give your employees the recognition they deserve and share their story about their involvement in the company. Generate Website Traffic. Video is excellent at quickly grabbing a customer’s attention and maintaining it, generating traffic and converting them into leads. Grow Social Media Reach. Social media is a great way to see how your video can expand your reach. You can measure the growth of your blog, YouTube subscribers, retweets, pins and visitors. For over 30 years, Riverbend Sandler Pools has built quality pools for homeowners in the Dallas area and beyond. 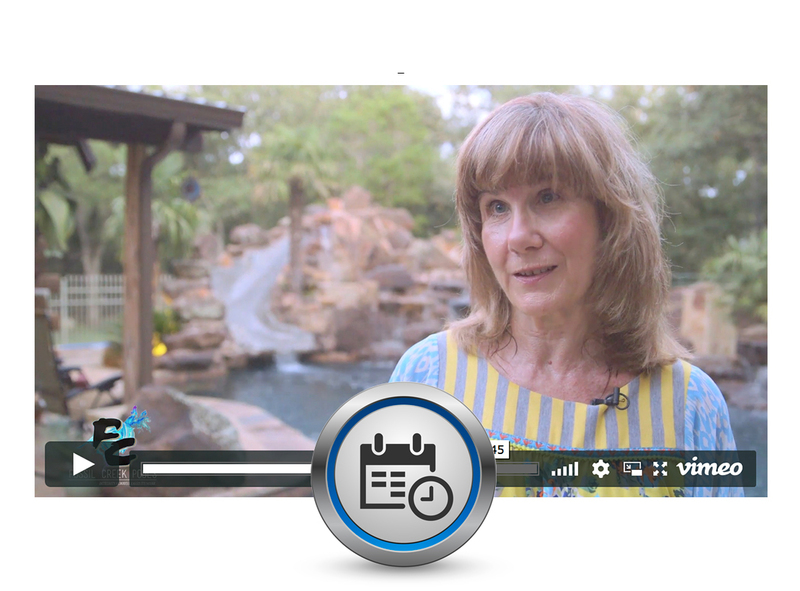 We partnered with them to create a series of testimonial and profile videos that demonstrate how Riverbend has touched people’s lives through the outdoor spaces they create.